Are you ready for cycling season? 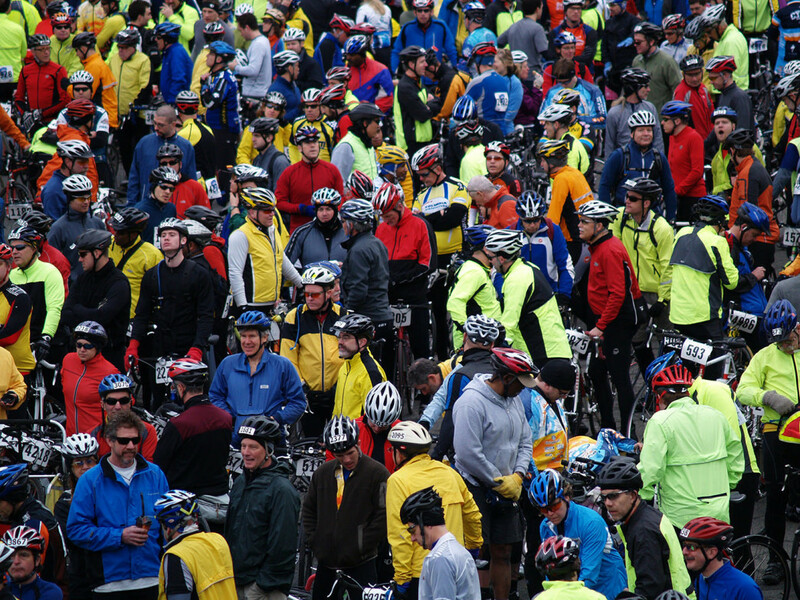 Join thousands of bikers on Bainbridge Island, Sunday, February 23 for the Chilly Hilly. Organized by the Cascade Bicycle Club, it’s a 33-mile loop around the island culminating in free hot chili, baked goods and hot drinks. 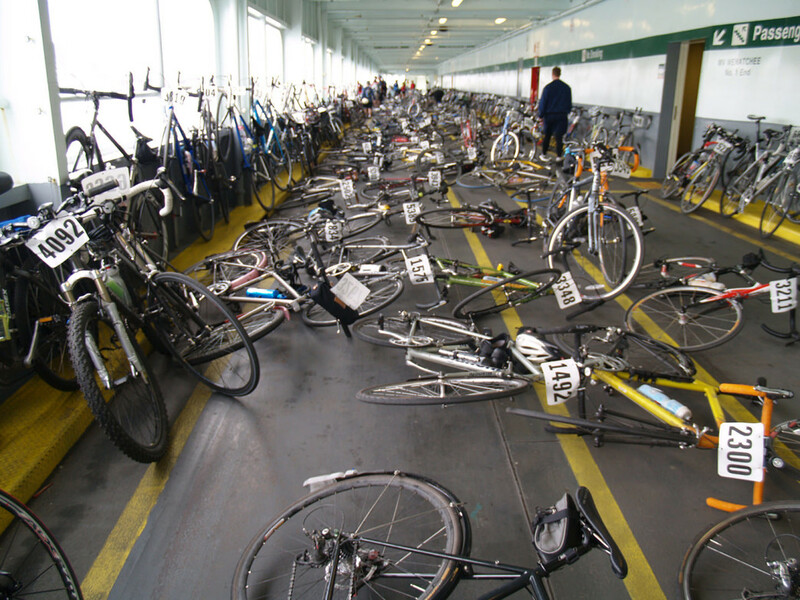 Just hop on the ferry for a festive sail across Puget Sound packed with cyclists wearing colorful garb. 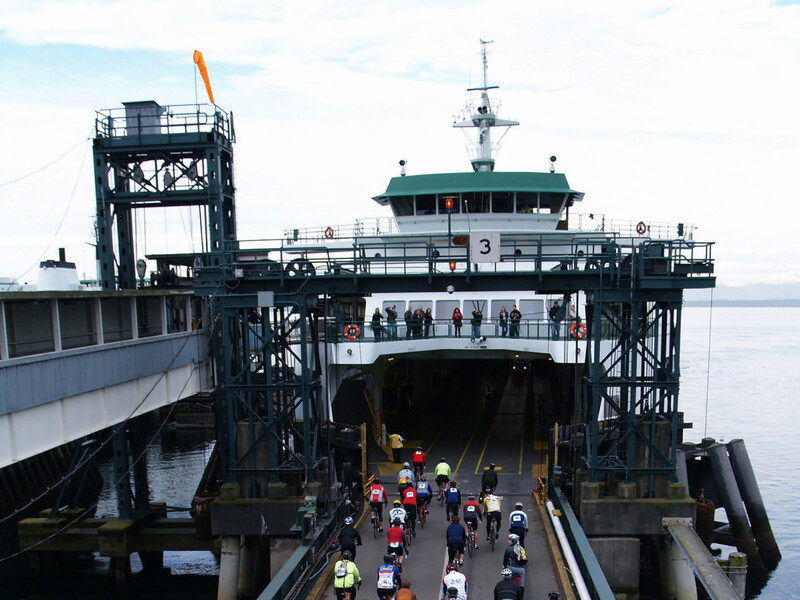 The ride lasts from 8am-3pm, and begins as soon as you disembark from the ferry (Winslow Way at the end of the ramp if you’re starting from Bainbridge). Chilly Hilly is a 40-year old tradition, helping local charities, celebrating spring, and giving cyclists a little push to get outside despite the climate. The Cascade Bicycle Club offers free rides to help you get ready for the event. It’s a tough ride with 2,675 feet of climbing and a good chance of inclement weather. There is a short cut at the 19.3-mile mark that will shave off ten miles, great for those riding with kids. Aside from the gorgeous views to keep you going, there are stops along the way to fuel you up, like cookies and snacks from the Girl Scouts. There will also be road support from the Cascade Bicycle Club Safety and Medical Crew, and bike mechanics along the ride to help with flat tires and mechanical issues. For day-of-ride-emergencies, you can call 206-841-9665 for assistance. Register the morning of the ride in Seattle on Alaskan Way opposite the Coleman Ferry Terminal, or on Bainbridge Island at B.I. Cycle located at 124 Bjune Dr. SE Winslow. It’s a full service bike shop and Chilly Hilly hub for cyclists looking for last minute items or assistance. Note: Fee includes ferry ride on designated sailings, your bib is your ticket. Wear warm layered clothing, and bring some cash, rain gear, and flat tire kit.